Located on Warren Rd just west of Inkster Road. The center has excellent visibility and of-fers a great mix of tenants. 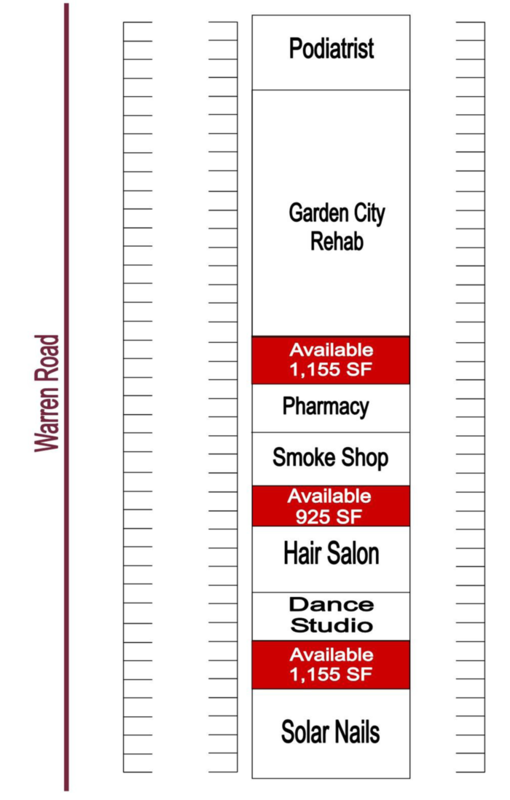 Join Garden City Rehab, a Podiatrist, Nail Salon, Smoke Shop, Joy Pharmacy and a Hair Salon. The shopping center is just minutes from area hospitals.